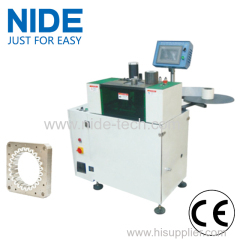 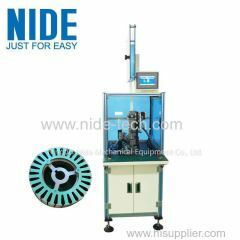 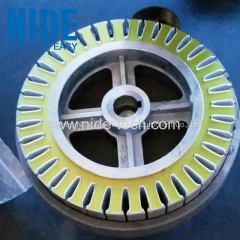 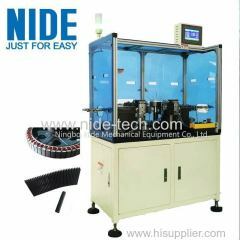 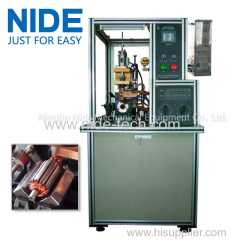 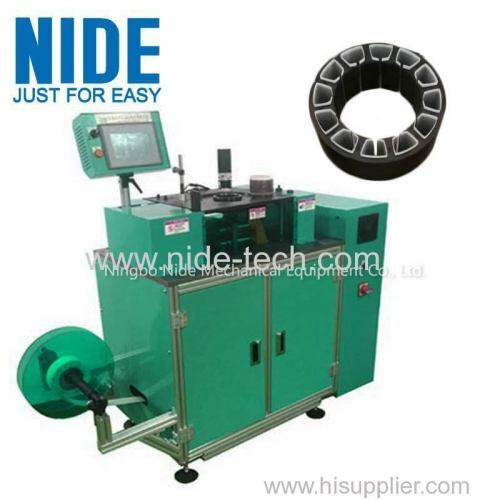 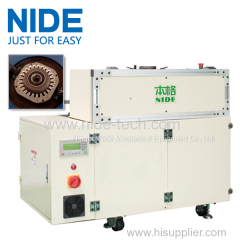 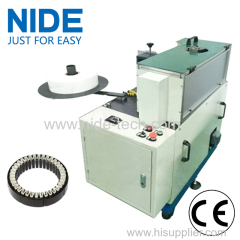 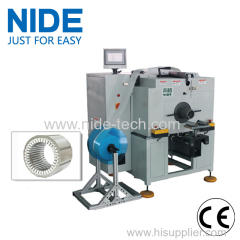 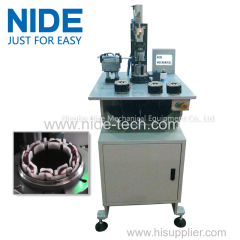 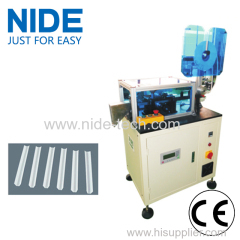 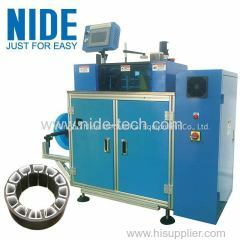 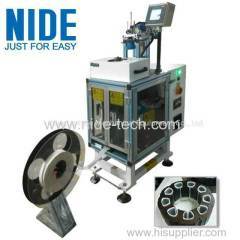 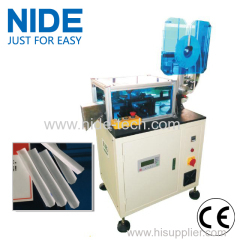 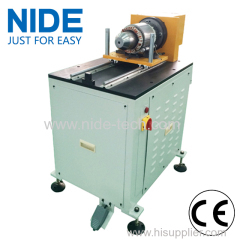 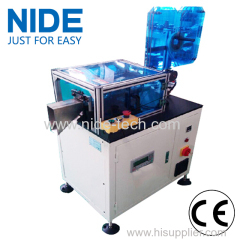 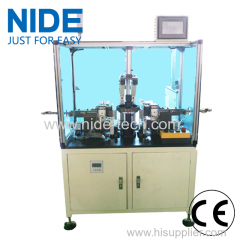 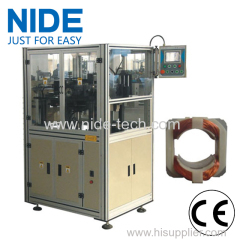 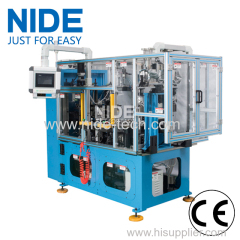 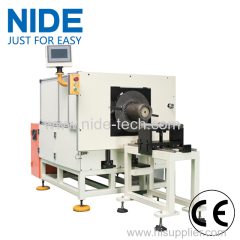 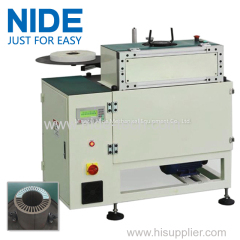 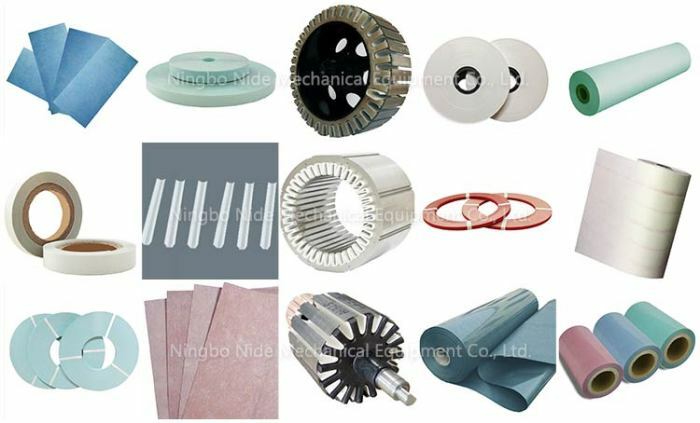 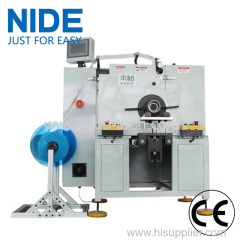 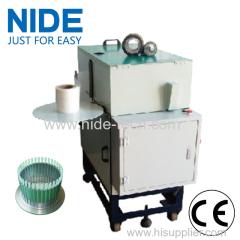 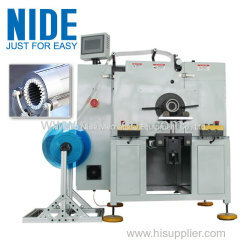 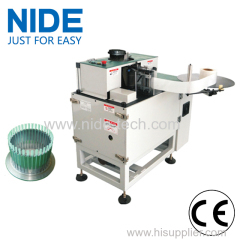 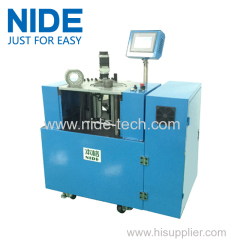 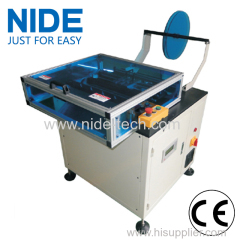 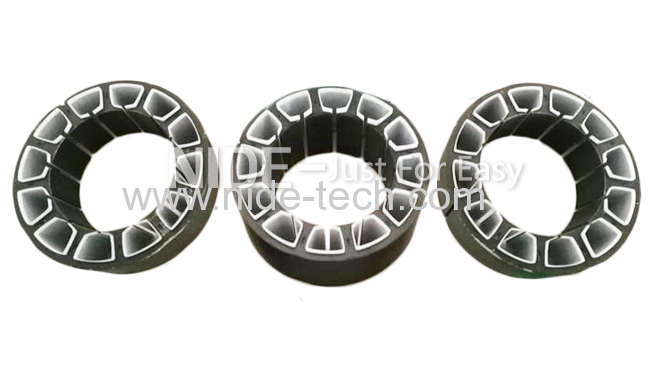 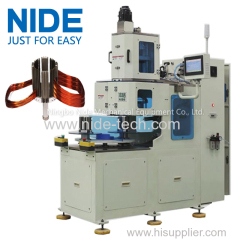 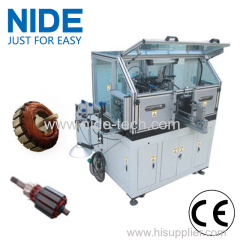 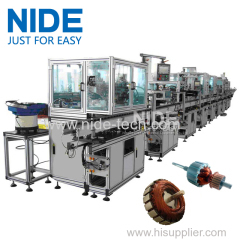 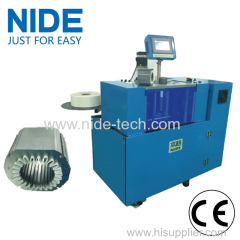 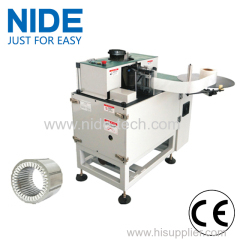 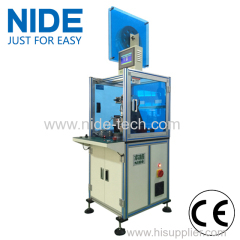 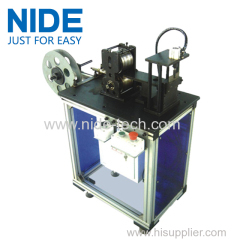 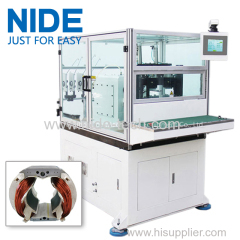 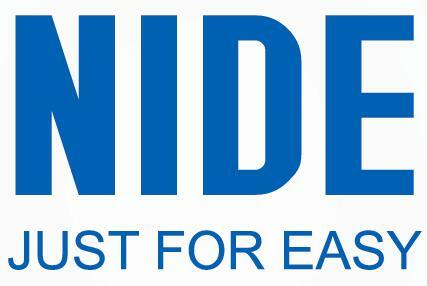 Automatic brushless motor stator slot paper insertion equipment from China manufacturer - Ningbo Nide Mechanical Equipment Co., Ltd. 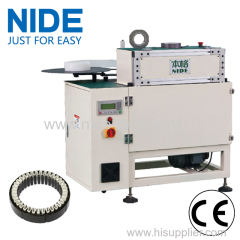 The stator insulation paper inserting machine is suitable for inner stator paper insertion, such as BLDC motor and stepping motor stator. 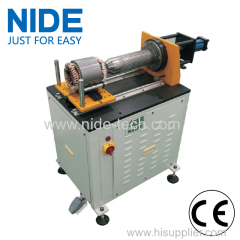 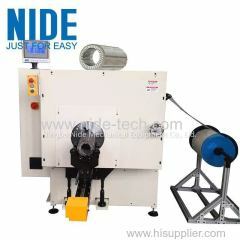 This BLDC Inner stator insulation paper insertion machine is designed for inner stator to do insulation paper inserting. 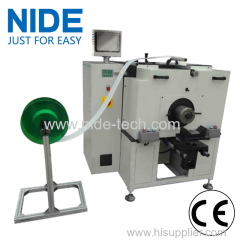 The paper inserting mahcine adopts mechanical driven system, servo system and pneumatic system. 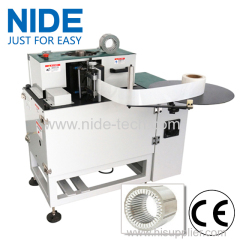 As a result, the machine can automatically do positioning, pressing, paper feeding, paper forming, paper pushing. 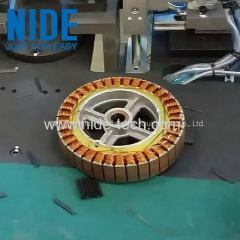 The paper edge can be auto chamfered so as to solve the winding problem caused by paper, and improve the percent of pass of stator. 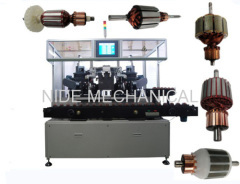 This machine is easy to operate, of high automation, and suitable for series motor, BLDC motor and stepping motor stator.